The No. 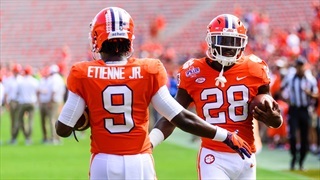 3 Tigers proved that they're still the class of the Atlantic Division, taking out the 16th-ranked Wolfpack 41-7. 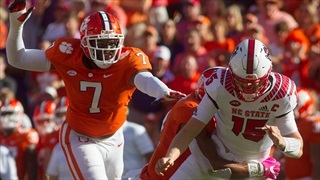 Clemson got a dominating performance from its defense in a 41-7 win over previously unbeaten NC State. 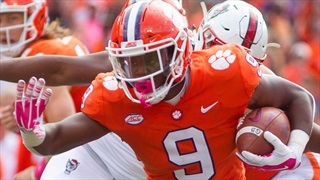 Clemson routed NC State 41-7 on Saturday in a battle of unbeatens where the well-rested Tigers continue to show growth and depth. 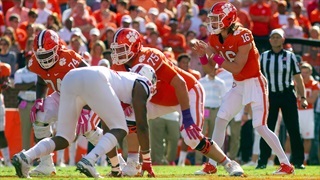 With the Tigers' ability to do that, things are that much tougher for future opponents down the road. 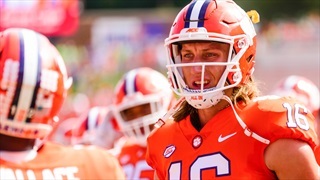 Clemson freshman quarterback Trevor Lawrence shined in the 3rd-ranked Tigers' win over No. 16 NC State. 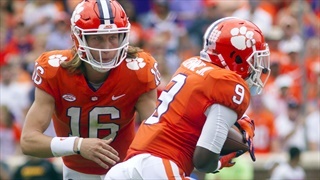 Lawrence completed 26-of-39 passes for 308 yards and threw a touchdown to Tee Higgins. 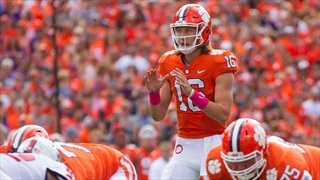 The Atlantic Coast Conference announced today that tackle Mitch Hyatt (Offensive Lineman of the Week) and quarterback Trevor Lawrence (Rookie of the Week) have collected ACC Player of the Week honors for their performances in Clemson's 41-7 win against NC State on Saturday. 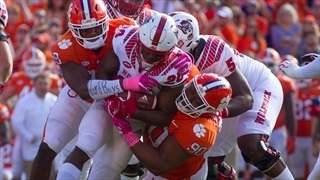 Clemson's offense looked mighty familiar this weekend, while the Wolfpack were all bark, no bite. 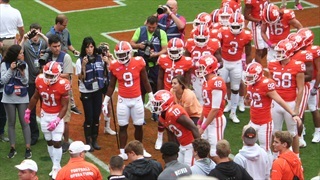 Clemson's official story from yesterday's 41-7 win over NC State. 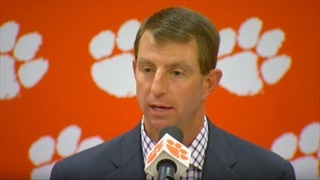 Find out what Coach Swinney had to say after watching the tape of Clemson's 41-7 win over NC State. Take a look some of the prospects who made their way to Tiger Town yesterday. 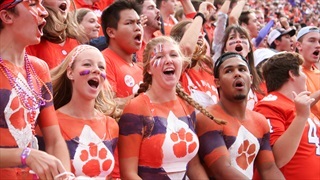 Clemson and Alabama headline the top two major polls in college football. 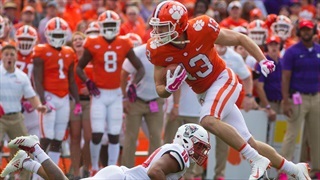 The Tigers beat up on NC State Saturday 41-7 and have now bounced up to the No. 2 spot behind No. 1 Alabama. There were no excuses. No laptops, towels, or any other crazy shenanigans. 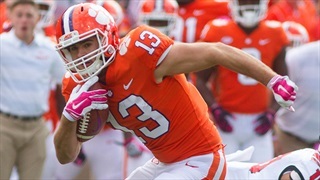 This year, Clemson was the dominant team we’ve grown so accustomed to seeing. This year, class was back in session. 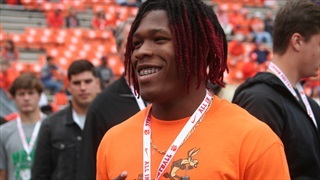 And Clemson passed its latest test with flying colors. 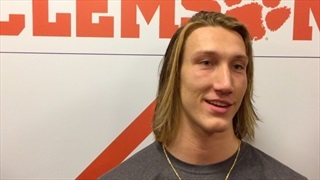 We heard from several Clemson players following the Tigers' 41-7 destruction of NC State. 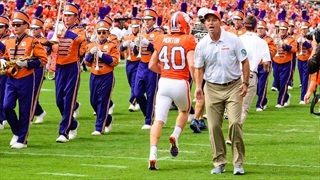 Dabo Swinney gave his thoughts on Clemson's 41-7 win over NC State. 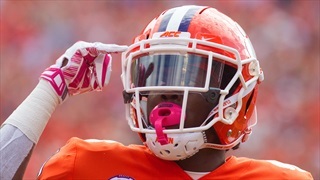 Clemson made a statement Saturday afternoon crushing Atlantic Division foe NC State. 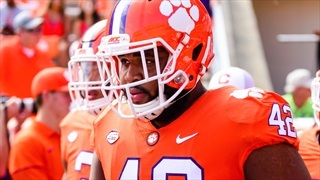 Hang out with fellow Tigers in our live chat and get updates from the press box during Clemson's battle with NC State. 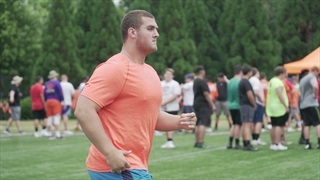 The Tigers are welcoming in tons of talent ahead of their 3:30 matchup with NC State including several 5-star prospects from multiple classes. 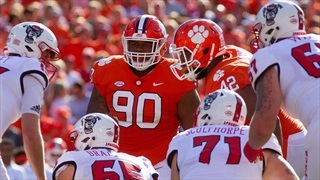 Clemson and NC State prepare to sort things out at the top of the Atlantic Division of the ACC.